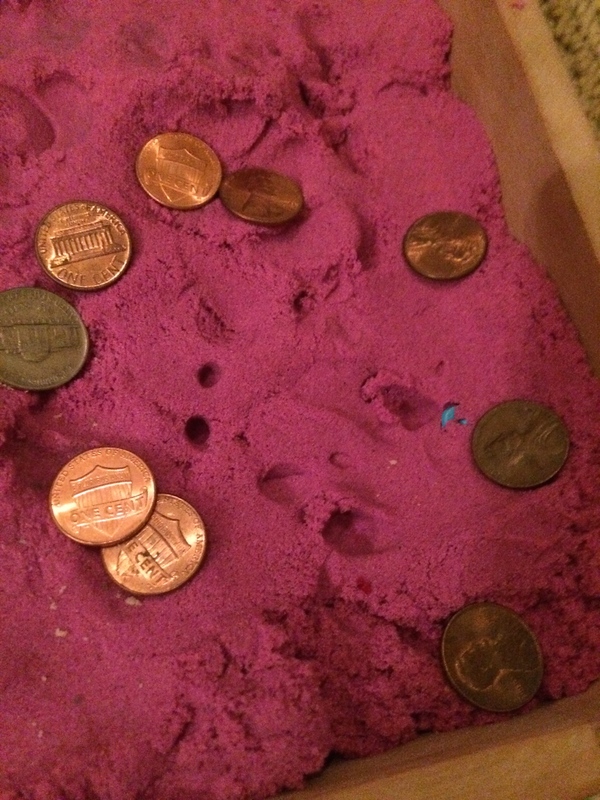 Hayden thought her new ploy – constructing a beach resort, with green-water pool and pink squishy sand, plus coins, would trap the cagey Leprechaun. One look at these images and you realize you’re viewing a crime scene. 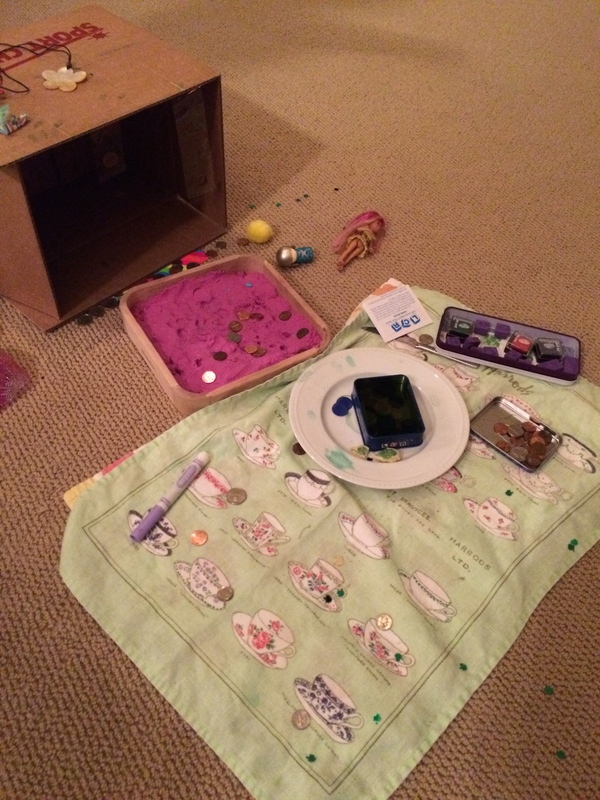 Not shown: The trail of shiny Shamrocks and what occurred in the downstairs bathroom. The little guy must have consumed several pints of verdant Guinness. Something must have startled him, because he left before putting the toilet seat down. Maybe he heard the Easter Bunny coming.